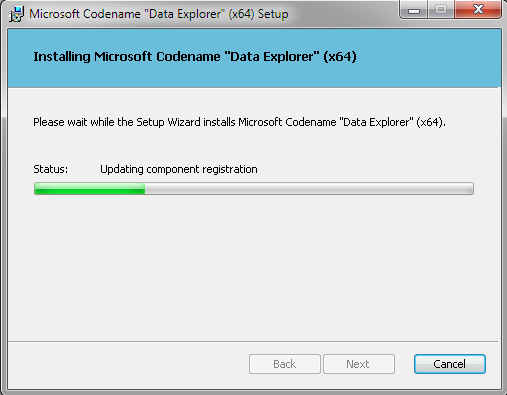 In this post I will go over the installation of the new “Data Explorer” client tool that is available to download as an Office plugin providing you the ability to launch the tool from within Excel. 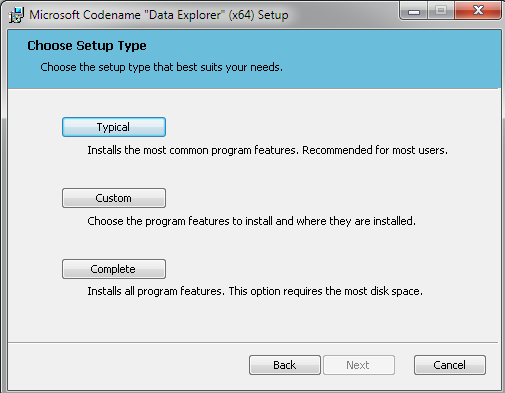 Data Explorer is a new tool available in the SQL Azure Labs in the cloud that allows you to do some self-service ETL capabilities. 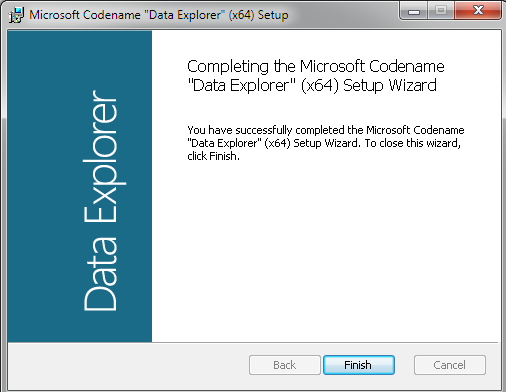 You can pull in your data from Excel, flat files, databases, the web, data feeds, etc. and then mash the data up as well. 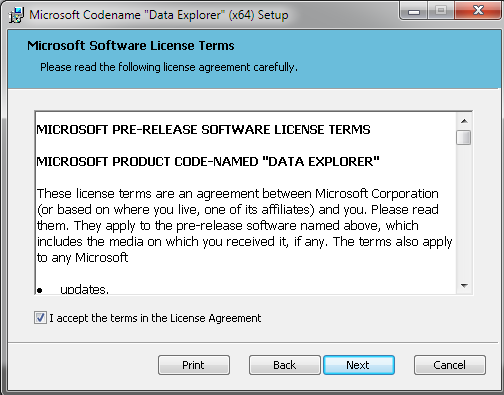 Along with this Microsoft will also provide you additional data recommendations form the Azure Data Marketplace that might be of interest to integrate with your data and then you can publish the new set of data. Once the new data is published you can consume it back into Excel using the Excel plugin and also make it available to others to consume as well. 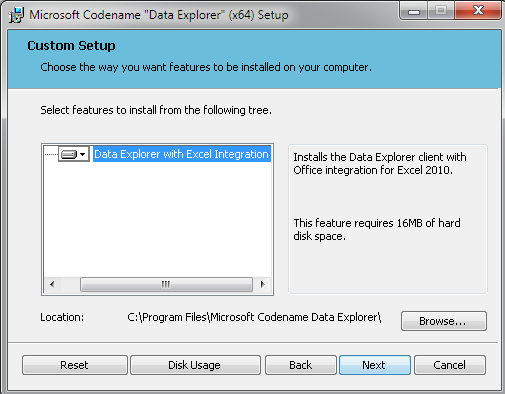 And this will add a new section in the ‘Data’ tab of the Excel Ribbon called ‘Data Explorer’ with two buttons, one opens the Data Explorer tool to create workspaces and work with data, and the other one allows you to connect so that you can consume data into Excel. 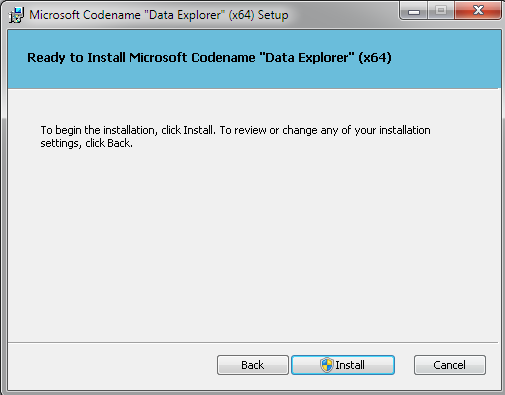 This entry was posted on December 19, 2011 at 5:29 am	and is filed under Data Explorer. 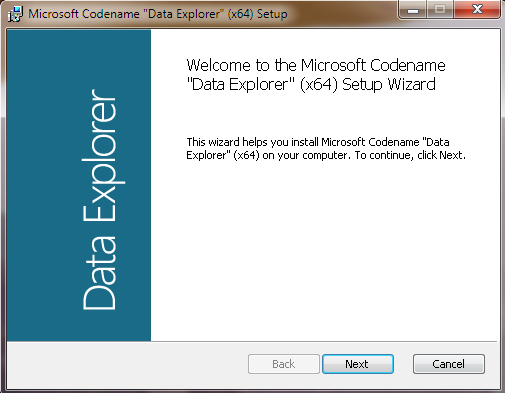 Tagged: azure, data explorer, excel. You can follow any responses to this entry through the RSS 2.0 feed. You can leave a response, or trackback from your own site.